From the “Check Fraud and Payment Risk Industry Update and Technology Advancements” presentation. Continuing our look at some of the highlights from our 2018 Healthcare and Check Payment Technology Conference in Nashville, TN, this time with information from a presentation entitled “Check Fraud and Payment Risk Industry Update and Technology Advancements,” presented by Joe Gregory, our own VP of Marketing; Yaron Katzir, who is Orbograph’s Director of Product Management for Check Solutions; and Sharon McCullogh, VP of Bank Operations for PNC Bank. 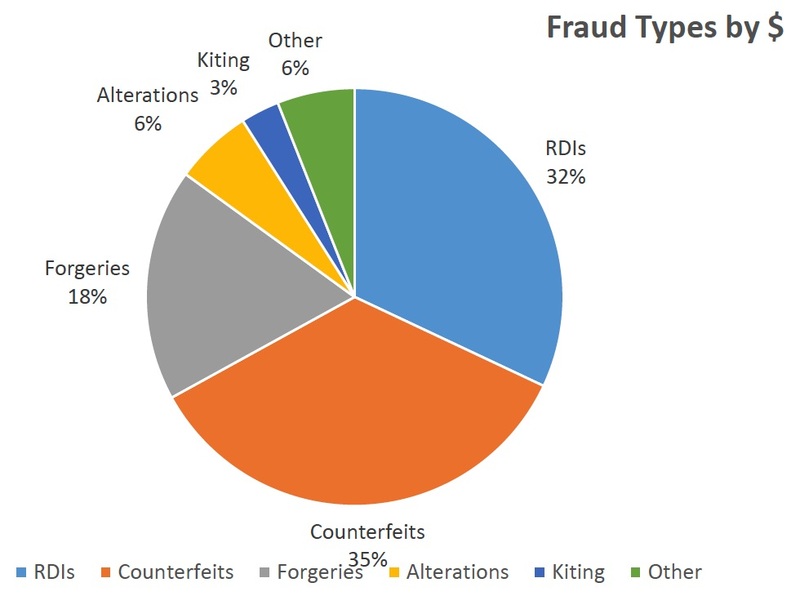 In addition to the fact that fraud is trending upward, it was noted that, in 2017, 74% of payment fraud was aimed at checks, with wire at 48%, credit cards at 30%, ACH debits at 28%, and ACH credits at 13% — a clear indication that, given the ongoing popularity of checks for individuals and businesses, solutions such as Anywhere Fraud and Anywhere Validate are vital to the health of financial institutions big and small by detecting and preventing counterfeit checks, forgeries and duplicates!